Classic wayfarer shape, at home on the beach or in the mountains. Comfortable softly rounded shiny brown frames, hand finished and polished. Contrasting striped temple details and metal inlay make the Tide a stylish sunglass suitable for all. 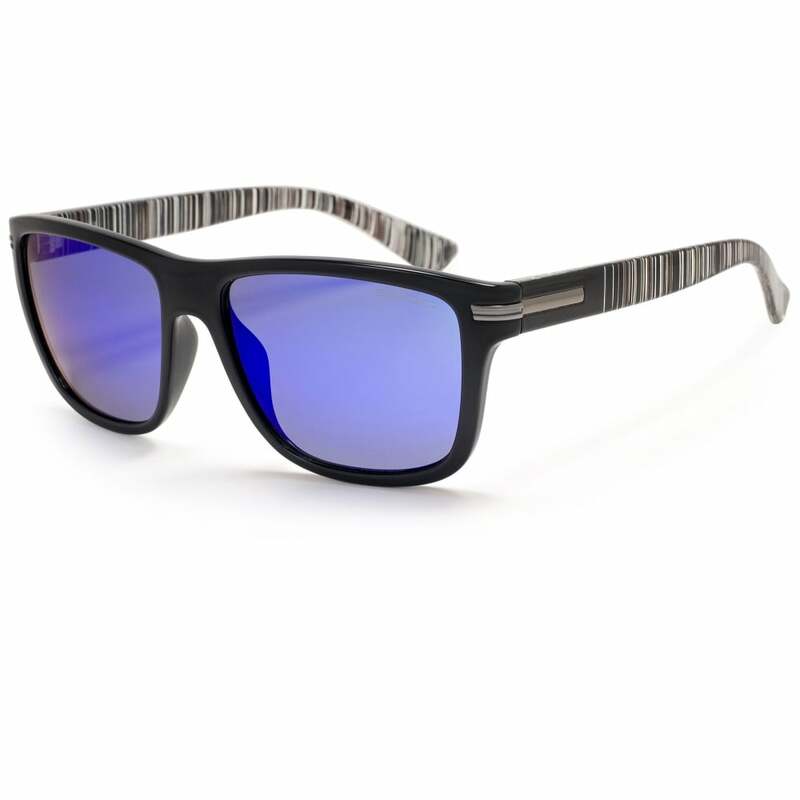 Blue mirror Category 3 impact resistant grey Optical Class 1 lens ensure crystal clear vision. Really pleased with the Tide glasses. Quality look and feel. I have the mirrored lenses.. comfy to wear and a good level of protection. Nice detailing on the arms. Recommended.